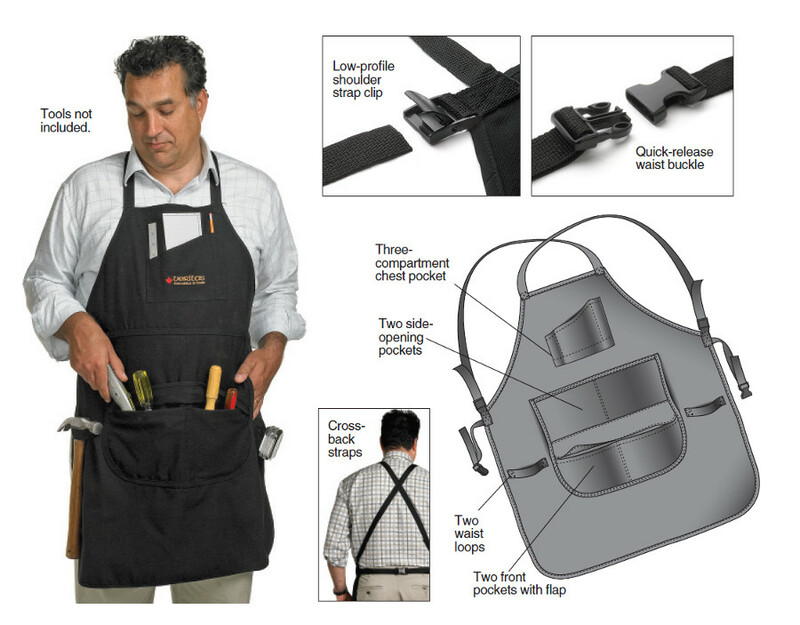 With cross-back straps to place the weight of the apron on your shoulders instead of your neck, this apron is 100% cotton canvas, a lightweight and durable material. At about 86 cm long and 71 cm wide, the bib provides ample front and side coverage. The shoulder straps are easy to adjust with low-profile, unobtrusive clips, and the adjustable waistband has a quick-release buckle. A pocket on the chest has compartments for pencils, pads, small rules, etc. Below it there are two 20 x 20 cm pockets with a top flap that keeps sawdust and wood chips out, plus two larger 35 x 20 cm side-opening pockets to hold small tools or just provide a comfortable resting place for hands. The wide openings on these pockets permit easy access, and the angled inside corners won’t trap small objects. 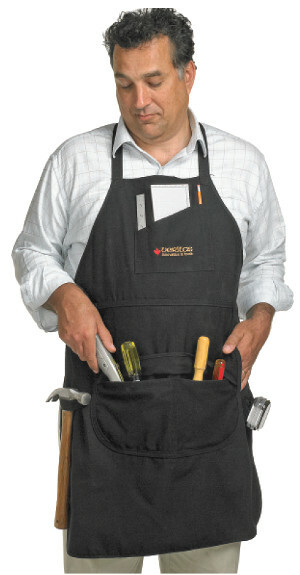 The waist loops situated on either side of the pockets will hold a hammer, a tape measure or any tool with a belt clip.